From a purely numerical perspective, Facebook (NASDAQ:FB) stock looks dirt cheap. The market cap of Facebook stock as of this afternoon is $447 billion. The market cap is supported by the $40.6 billion of revenue that the company generated in 2017, the $25 billion of revenue that it obtained through the first half of 2018 and its ability to take up to 40% of that revenue to the net income line. Additionally, FB has no debt, it has $42 billion of cash and securities on the books, and it’s on track to deliver almost $30 billion in operating cash flow this year. Despite these very strong numbers, the trailing price-earnings multiple of FB stock is less than 24. That represents a small premium on the average price-earnings multiple of S&P 500 stocks, which is around 22.3 times. Meanwhile, Facebook stock is down about 13% for the year. So FB stock will surely bounce back, right? Not necessarily. A series of scandals is eating away at Facebook’s reputation with its customers and users. Facebook is in deep trouble. The latest scandal involves allegations that Facebook committed fraud by lying about how many people were watching videos on the website and how long they were watching them. People who say they are the victims of the alleged fraud have filed a class-action lawsuit, entitled Letizia et al vs. Facebook, against the social network. Facebook Vice President David Fischer called all this “an error” in an August 2016 blog post, but media outlets, as well as advertisers, shifted their business models from text to video in 2016 because Facebook assured them, using data, that doing so would benefit them. The plaintiffs claim Facebook knew about the faulty metrics in early 2015 and have accused the company of having “reckless indifference” to the phony numbers, which encouraged both internet news organizations and advertisers to throw money at content no one was watching. The metrics may have exaggerated video use by up to 900%, allege the plaintiffs. Additionally, many newspapers reportedly reacted to Facebook’s data by laying off writers or closing completely. Facebook’s credibility with users and advertisers was already under attack after the Cambridge Analytica scandal, which involved the theft of the personal data of 87 million people, and the manipulation of Facebook’s content by Russians who helped elect Donald Trump. Among Facebook’s other alleged scandals are another data breach affecting 30-50 million users, which it blames on spammers, and the use of “security” phone numbers by Facebook’s advertisers. Things have gotten so bad for FB that Trillium Asset Management is now getting support from U.S. state treasurers for its effort to remove Zuckerberg as chairman. That move is going nowhere, but there is growing evidence that users are changing their behavior, sharing less and no longer giving out personal data. Facebook has responded by e-mailing users whenever anyone else asks about them, and by becoming more like Microsoft’s (NASDAQ:MSFT) LinkedIn. The age of “move fast and break things” on which the company was reportedly built is over. Facebook stock is not undervalued. In two years, FB has gone from being among the most-admired tech names to reportedly being one of the least admired names in the sector. Moreover, FB has become a target for many reporters with bones to pick and for most of the anti-technology Luddites on the planet. 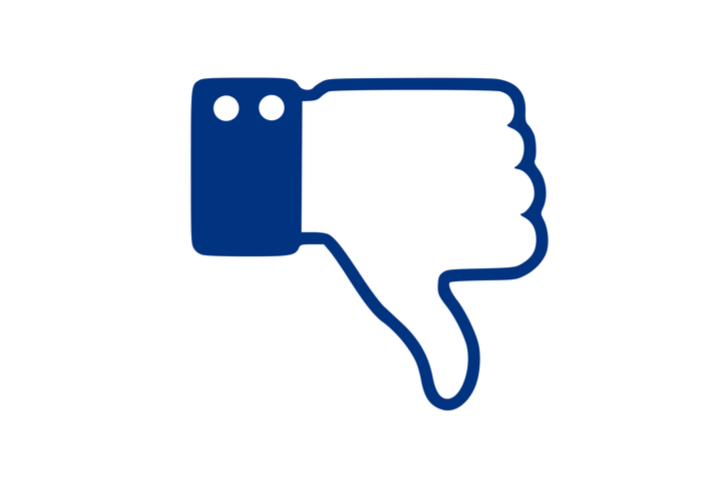 Facebook’s recklessness hasn’t just cost its shareholders over $50 billion, but it has also helped put the harsh light of government on all the Cloud Czars, like Alphabet (NASDAQ:GOOGL), which recently announced it is closing its competing Google + social network after a data breach. The bigger problem is this: Facebook listed $18.3 billion in property, plant and equipment on its books as of June. Most of those assets are cloud data centers and the fiber lines linking them. Now Facebook must find enough traffic to justify its tremendous investment in infrastructure. Maybe it will even have to start paying for content. That would definitely be a problem for Facebook stock. Article printed from InvestorPlace Media, https://investorplace.com/2018/10/scandals-are-crushing-facebook-stock/.